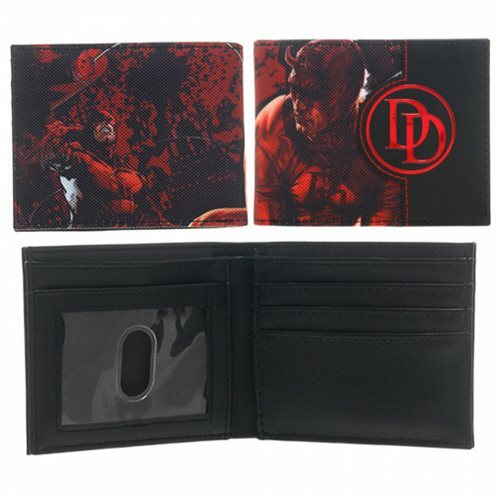 Let Daredevil protect your goods with the Daredevil Bi-Fold Wallet. Designed with a Daredevil theme, this sleek wallet comes fully equipped with 4 inner card slots, a clear ID window, a bill compartment, and 2 hidden slots. This Daredevil Bi-Fold Wallet measures about 4 1/2-inches long x 3 1/2-inches tall closed. Ages 14 and older.